To help #endhunger, TechnoServe is working with Feed the Future to strengthen agribusinesses and food processors in Africa. Not long ago, HOME Oil, a small cooking oil manufacturer in southern Malawi, was in trouble. Without the necessary food safety certifications, the company’s products were unable to break into local markets. To keep the business afloat, its owner was covering operating expenses out of his own pocket. The struggles of African food companies like HOME Oil are closely tied to the regional problem of malnutrition. Although nearly two-thirds of its workforce is employed in agriculture, sub-Saharan Africa remains the region with the highest rate of hunger in the world: roughly a quarter of its people suffer chronic undernourishment. Many farmers in the region are unable to earn enough from their crops to lift their families out of poverty, while consumers can’t find safe and affordable food. One reason for this is that Africa’s agribusiness and food-processing businesses have been underdeveloped, stunting the demand for crops grown by local farmers and limiting the supply of nutritious, locally produced food. To address this problem, TechnoServe has worked with Feed the Future – the U.S. Government’s global hunger and food security initiative – to provide technical assistance and tools to hundreds of African businesses in those sectors, allowing them to grow and serve as an important link in the value chain between African farmers and consumers both near and far. 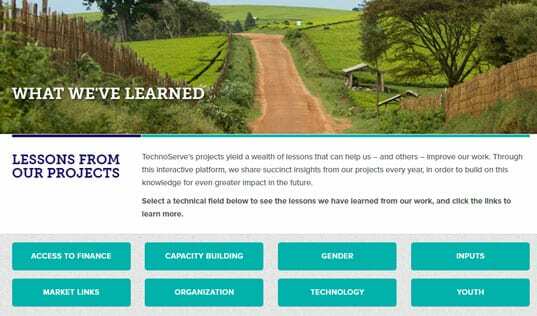 To help boost the technical and business skills of food processors, TechnoServe has worked with the Partners in Food Solutions (PFS), an organization that taps the expertise of employee volunteers from General Mills, Cargill, Royal DSM, Bühler and Hershey’s. 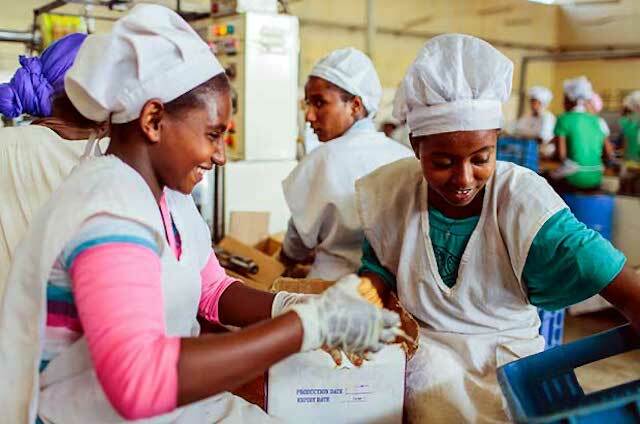 With support from the U.S. Agency for International Development (USAID), TechnoServe and PFS have provided training or consulting services to more than 600 mills and processors in Ethiopia, Kenya, Tanzania, Malawi and Zambia. 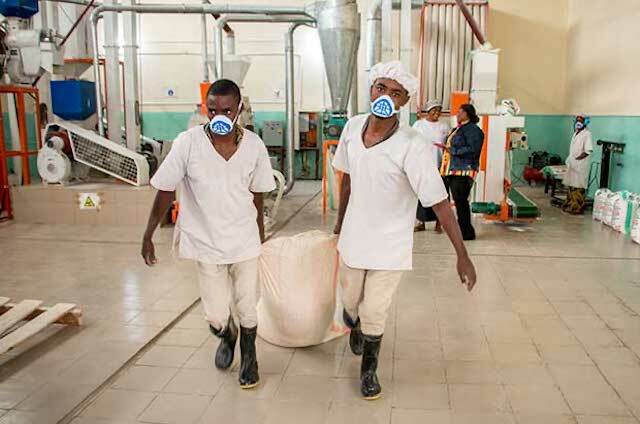 These businesses supply fortified and blended flours, baked goods, ready-to-use therapeutic foods, cooking oil and other products for local markets, while providing a stable and profitable market for nearly 900,000 farmers across the five countries. Many agribusinesses in the region also struggle to find sufficient funding. With inadequate access to finance, these businesses cannot invest in improved or expanded production. The FinAgro program, a partnership between USAID, TechnoServe and the Development Agency of the Zambeze Valley, was designed to help agribusinesses in Mozambique make needed investments and create new opportunities for farmers and agricultural workers. Since 2014, the program has provided matching grants to 63 businesses, allowing them to purchase new trucks, improve warehousing and processing facilities, and take other steps to boost their productivity. The approved businesses are expected to see an average 81 percent increase in income and a 45 percent increase in full-time employment over a two year period. 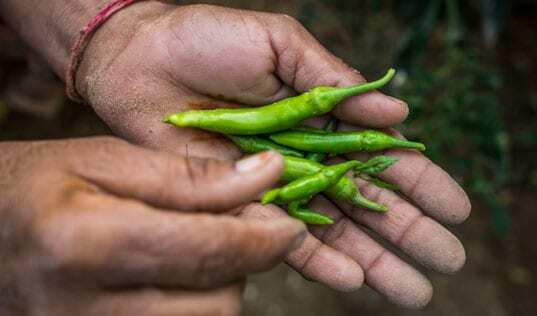 Purchasing crops from a large number of smallholding farmers is sometimes expensive and inefficient, limiting the growth of agribusinesses and the opportunities for smallholders. 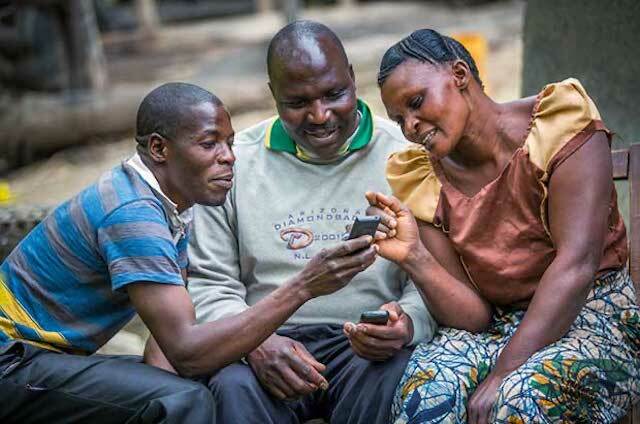 Working with USAID and Vodafone, TechnoServe implemented the Connected Farmer Alliance to harness mobile technology to make these transactions easier for businesses and farmers alike. The project developed a platform that allowed businesses to purchase crops using mobile money, sending payments directly to farmers’ phones. This meant that purchasers could avoid making risky trips to remote areas carrying large amounts of cash, farmers had instant access to a formal record of their sales, and businesses had more data to track performance. The platform also allowed agribusinesses to easily communicate messages to farmers in their supply chains. 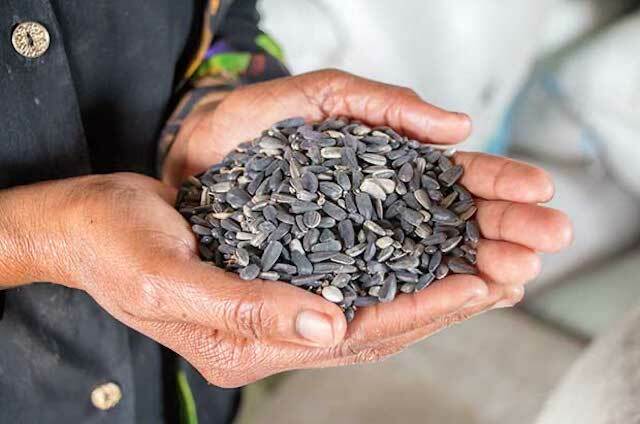 As a result of the lowered transaction costs and improved efficiency, agribusinesses using the platform increased their purchases from smallholders. At Ndumberi Dairy and Kenya Nut, for example, the value of such purchases increased by more than 10 percent. In 2015, staff from TechnoServe and volunteers from PFS began to work with HOME Oil’s owner to implement manufacturing practices that met Malawian and international standards and reduced operating expenses. 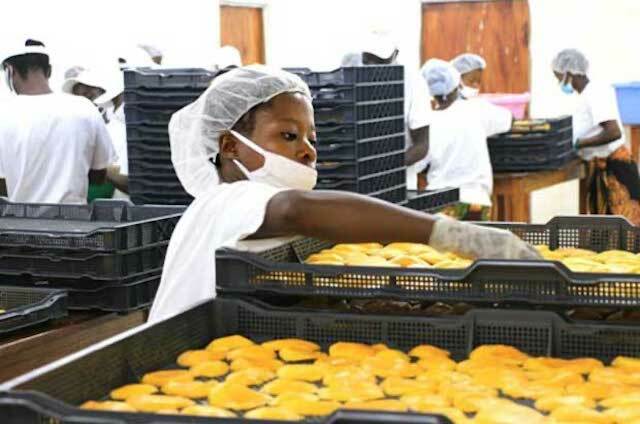 In April of 2016, the company’s products received the necessary food safety certifications from the Malawian government and were able to enter formal markets. To keep up with the the surge in demand that the company experienced after this change, it has had to increase the volume of oilseed it purchases. HOME Oil was once a weak link in the value chain, but now it provides a growing market for farmers and a safe product for consumers. To end hunger, we must work together to help other African food businesses grow bigger and stronger, as well. Join Feed the Future's discussion on how to #endhunger.